The Dells master planned community of more than 1,100 acres has a vision of blending residential living with a vibrant business and shopping neighborhood. The First Phase has four communities, The Overlook, Cathedral Point, Enclave, and Sunset Ridge, offering homes and home sites that will appeal to a variety of lifestyles. Cathedral Point is being developed exclusively by Mandalay Homes, offering a selection of home designs. 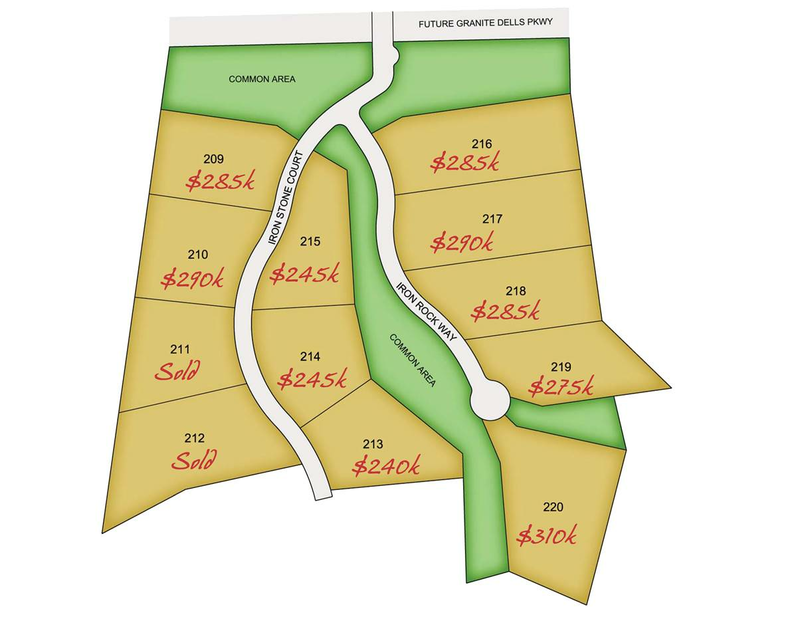 You can choose a home site in the Enclave with your own builder or select from one of our Preferred Builders. Please click on the community that interests you to see the site plan in detail.